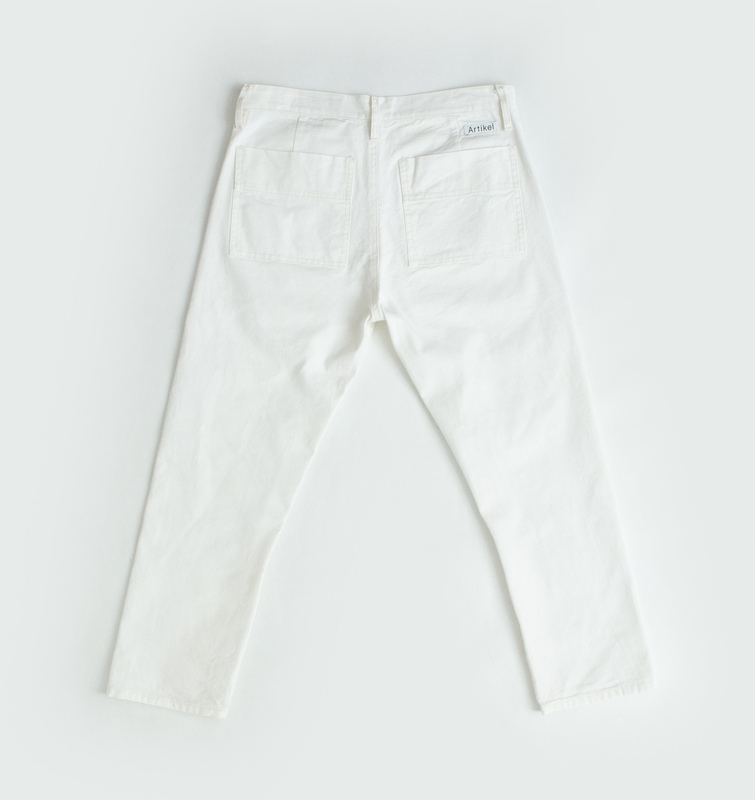 Artikel B1 straight legged trousers with workwear inspired back pockets. This canvas is made of 100% cotton. Canvas is an extremely durable plain-woven fabric used for making sails, tents, marquees, backpacks, and other items for which sturdiness is required. 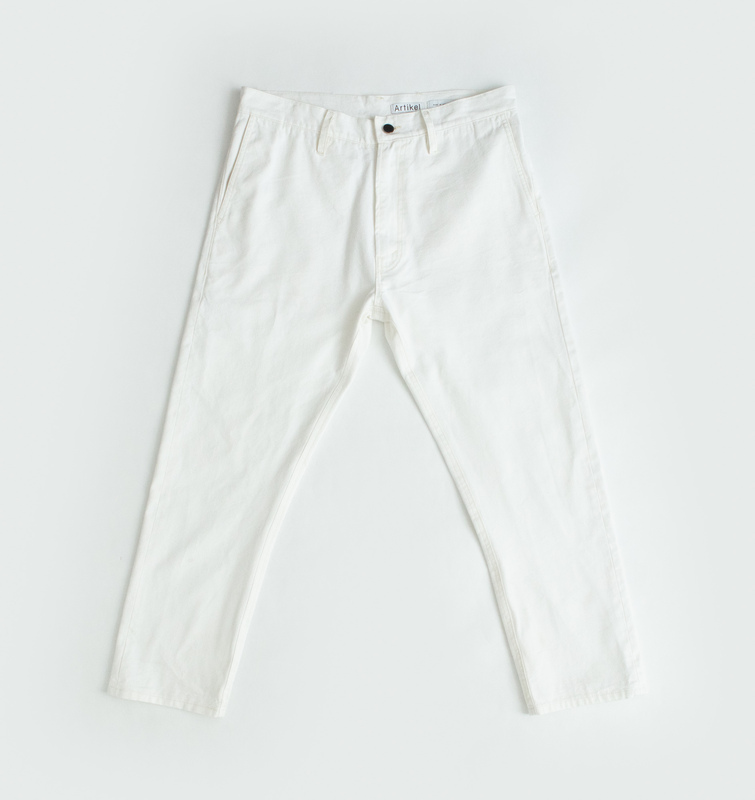 We use it for our garments, assuring the clothes a long life and giving it a sturdy and robust appearance. It’s pre-washed for a characteristic wrinkled look.